So after a very busy few months (with many apologies for being so quiet on here!) 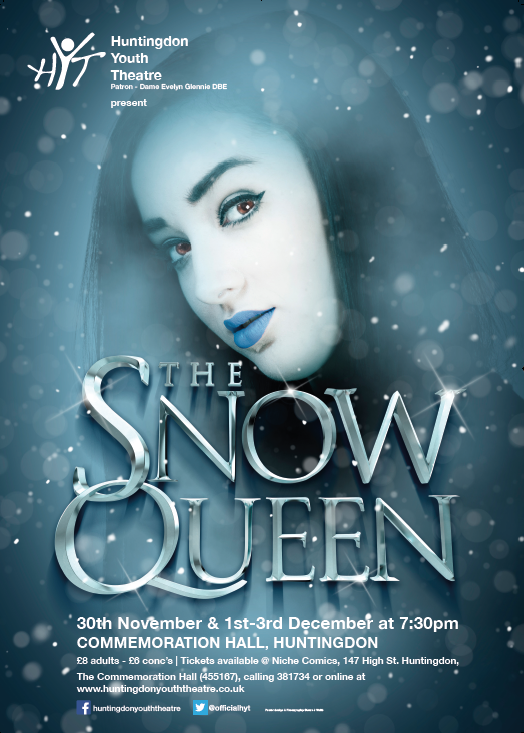 we’re back after the Summer to start rehearsals on our winter production of The Snow Queen! A great stage adaptation of the classic tale. Tickets are available NOW from this page or via Facebook. We’ll have them at the box office as soon as possible. See you at the end of November! Case closed, now it’s snowing! It’s been a very busy couple of weeks. Last week we followed up on The Witches of Warboys and Trial of Joshua Slade by returning to to the court room for Murder at the Meads. A trial based around Walter Worthington, a man accused of murdering his young wife in Broughton. It was very well received and we thank everyone who came to see us over the five nights. 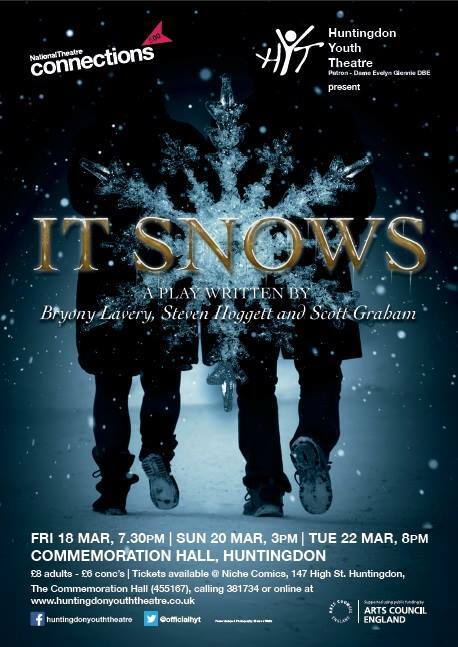 With one show finished, we’ve been straight into our National Theatre Connections project It Snows, we’ve had the technical and dress rehearsals and on Friday we can’t wait to go live. For tickets just visit the link on the menu bar of this site! Our Summer showcase is done and was well received. As always thank you everyone for coming along and supporting us. Now we’re moving straight into our next production. 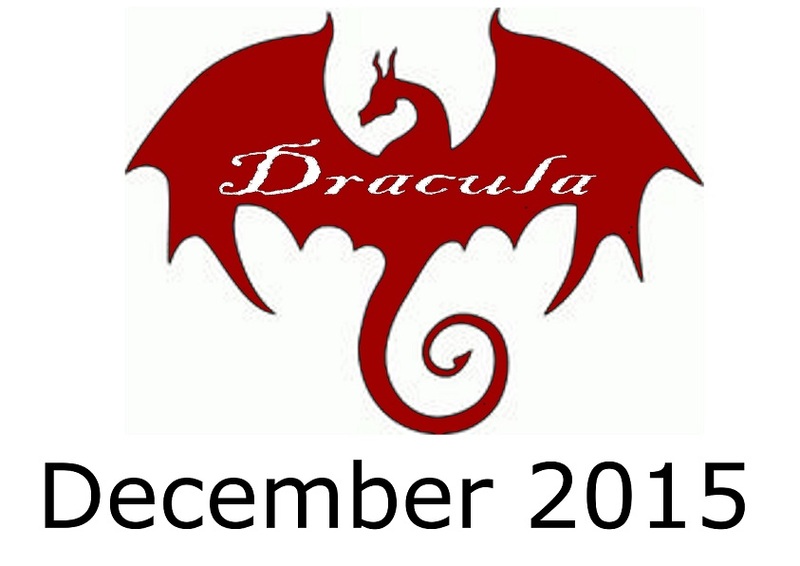 After some auditions and difficult decisions a cast is in place to take us forward as we bring Bram Stokers classic gothic novel to the stage. With the Summer holidays upon us, our members will be working on their lines and developing their roles ready to perform in December. We also have some very exciting news to come up as well so even though it’s a “break” we’re sure to be very busy over the coming weeks! We are just under a month away from our next production, The Mad Hatters Tea Party. We’re looking forward to putting on a performance in the different surroundings of the Holiday Inn at Huntingdon Racecourse on Saturday the 9th May. Directed by Graeme Hammond we’re going to be bringing the characters of Lewis Carrolls vivid imagination to life against the backdrop of one of his most famous scenes. 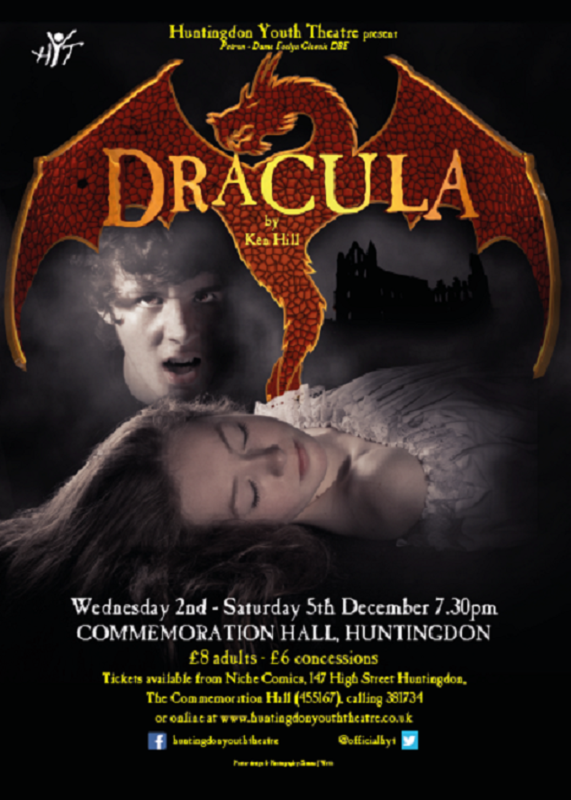 Tickets are available from Huntingdon Town Hall, so give Marilyn a call on 01480 411883, it’s odds on you’ll have a good time!